An allowance is a great way to teach your children how to manage money. Contrary to popular belief, allowances are not just free money that help kids do chores. Giving your children the right amount of an allowance for the right reason, while teaching them important money management lessons along the way, will help them in the future. 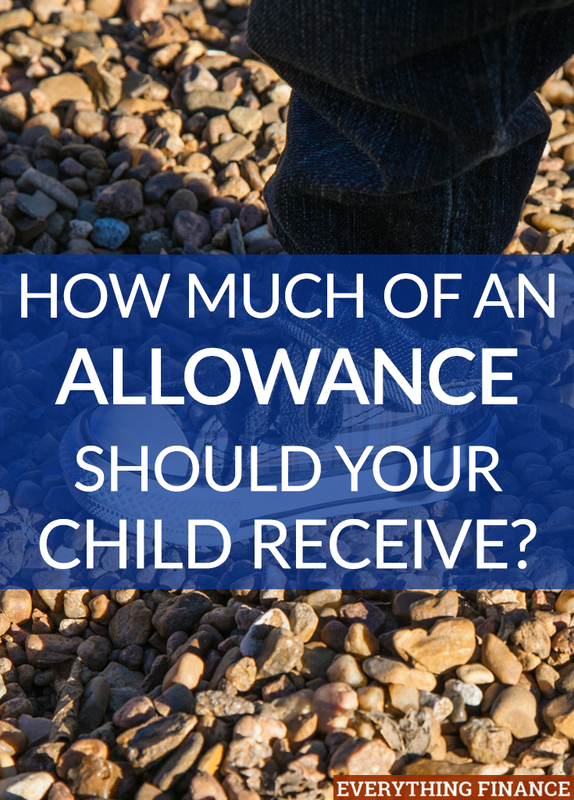 How Much Of An Allowance Should You Give? A good rule of thumb is to give each child a dollar for their age every week. This means your 5 year-old will get $5 dollars per week. You should also designate one day a week to distribute allowances so that kids don’t view you as the almighty ATM or try to take out advances against their allowances. When you tie money to chores, you give your child a choice whether or not do the chores. However, this isn’t how a family works. Every member of the family needs to pitch in to keep things running smoothly, and no one should expect money for doing a job they’re supposed to do in the first place. Just like mom doesn’t get any extra money for doing the dishes, neither should children get financially rewarded every time they pick up a toy or hang up their sweater. The money lessons start as soon as you hand over your child’s allowance for the week. You should teach your child to separate their money into four categories: family tax, savings, charity, and spending. I recommend 10% as family tax, 20% savings, 10% charity, and 60% spending money. Family taxes are to help prepare young minds for the reality of paychecks and taxes. The 10% can be taken from all the children of the family and put into a jar. Then at the end of the month, all of that money can be used for a fun family activity. A 9 year-old would receive $9 per week, with $0.90 going to family tax, $1.80 to savings, And $0.90 to charity. They would then get to keep $5.40 each week. Your child will hopefully realize that $5.40 will not buy them the toy they want. As the parent, you can then teach them to save up for a goal. If your child has her eyes on a $40 video game, then show her that she will have to save up for 8-9 weeks (to cover the cost and tax). Then take time with her to look online to comparison shop or see if you can buy the same item used for a better price. If your child chooses to spend their 60% portion on cheap plastic toys or junk food, let them. It’s a good lesson to learn now rather than when they’re in college. When they’re disappointed with the quality of their splurge purchase or frustrated that they can’t have that nicer toy, it naturally creates a teachable moment. If you don’t give money regularly to charity or through tithing, I encourage you to do so. I have been blessed through tithing in many ways, mostly by not hanging on tightly to my money. I want to be financially independent, but I don’t want to be so frugal I’m unwilling to help others in need. Your child can regularly give their 10% to the church they attend weekly, or you can save up the charity percentage and choose where to send it at the end of the year. Your child might enjoy using their charity money to buy toys for a toy drive at Christmas time or to buy pet supplies for a local animal shelter. Do you give your children an allowance? When did you decide to start giving them one? Have you increased the amount as they’ve grown older?